Sherelle Locke murder: her mother is 'always looking over her shoulder'. Three years ago, Marlene was forced to watch as her daughter was stabbed to death. Trigger warning: this post deals with domestic violence and may be triggering for some readers. It was an ordinary February night in 2014 and Marlene Locke was watching television and reading catalogues with her daughter Sherelle in their Boronia Heights home in south Brisbane. As mother and daughter giggled over something in one of the catalogues, Ms Locke’s husband Raymond John Mead arrived home in a frenzied rage from a night of drinking. 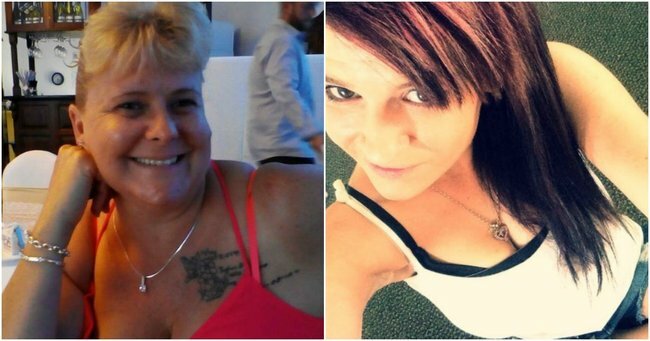 After finding a knife in the kitchen, an enraged Mead made his way into the lounge room and proceeded to stab his step daughter to death in front her mother. Ms Locke watched – blocked by her then-husband from both giving and calling for help – as her eldest daughter and “best friend” slipped away from her. Some two-and-a-half years later, Mead was sentenced to life in prison for his step-daughter’s murder. He has a maximum possible non-parole period in the Queensland justice system of 20 years. Now, Marlene Locke has launched a GoFundMe page in a bid to raise money so she can change the names of the two children she shared with Mead. “Due to my two small children having the same surname as my murdering ex-husband I am trying to raise funds to get their names changed so they don’t have to grow up with a murderer’s surname,” she wrote on the fundraising page. She went on to write that she still fears for her family’s safety because her ex-husband “never gives up, even behind bars”. At the time of writing, the fundraiser was sitting at about 80 per cent of its $2,000 target. In an interview with Nine News, Marlene says irrespective of the fact Mead is bound by the walls of his prison sentence, she is still "looking over [her] shoulder". In November last year, as the jury delivered their guilty verdict, a woman stormed out of the courtroom saying "[Sherelle] deserved it". During his trial, the jury heard that Mead didn&apos;t like his stepdaughter and blamed her for the decline of his marriage. Sherelle, who was 23 at the time of her death and a mother of three herself, had encouraged her mother to leave the abusive relationship after the couple married in 2008. However, Ms Locke told Nine News she tried to leave her ex-husband a number of times but was never able to break free. “I guess you could say that he always had that control, and no matter where I went he found me,” she said. Last month, Ms Locke was announced as a domestic violence ambassador and Red Rose Foundation advocate. If you would like to donate to Marlene Locke&apos;s GoFundMe, you can find the fundraiser here. If you, or anyone you know, are experiencing domestic violence, Mamamia urges you to call 1800 RESPECT.